Goldman, who completed her prep career at Burlingame High School in Burlingame, Calif., was the Central Coast Section’s champion in the 100-yard butterfly in 2014. Incoming Duke freshman Leah Goldman has been named the Girls Swimmer of the Year in Palo Alto’s All-Pal Bay Division, as announced Monday by the Palo Alto Weekly in California. Goldman, who completed her prep career at Burlingame High School in Burlingame, Calif., was the Central Coast Section’s champion in the 100-yard butterfly in 2014 while also taking second in the 200 IM. A six-time National Interscholastic Swim Coaches Association All-America selection, the future Blue Devil is a summer and winter Nationals qualifier and represented the U.S. internationally last summer at the Maccabiah Games in Israel where she won five medals. 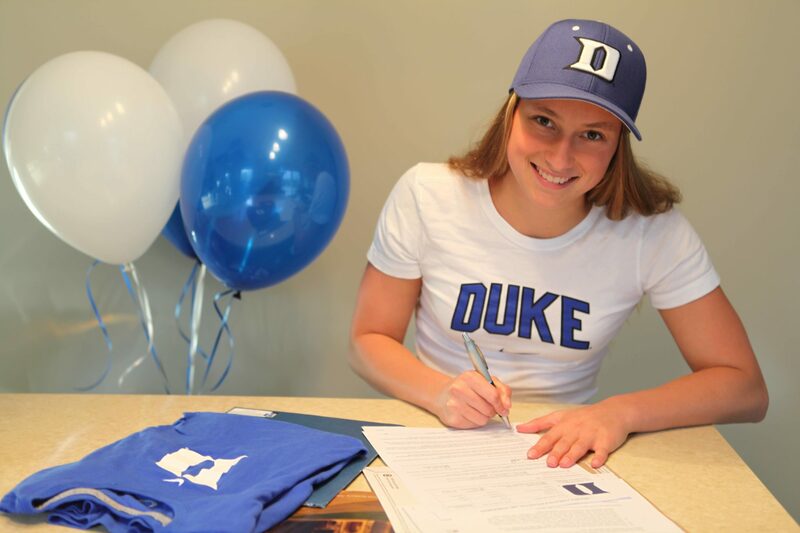 For more on Duke’s incoming class of swimmers and divers, click here. College Swimming News courtesy of Duke Swimming and Diving. Perhaps the Dukies are confused about West Coast geography. Although we’d love to take credit for Leah’s success, Palo Alto really isn’t involved, except insofar as the PA Weekly reports on peninnsula swimming as a whole. I think the reference was from the article posted in the Palo Alto Online site. No biggie! Great swimming by all in the Bay!